Smart has made a brave move and revealed how it predicts city cars, urban mobility and car sharing models to be in the future. It has done this with the unveiling of the brand new electric Vision EQ Fortwo. Predicted to make its debut at the Frankfurt motoring show, the self driving two-seater is deemed to showcase the solutions and technology of the future. 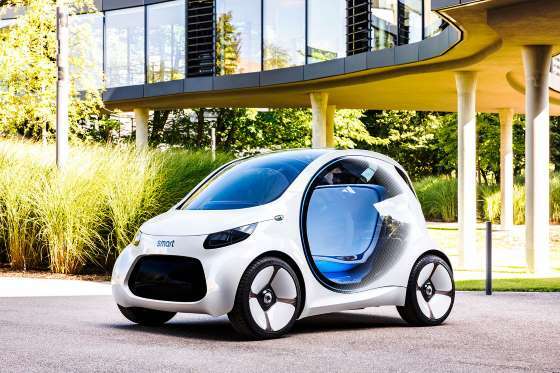 Smart’s chief operating officer, Annette Winkler, says it is being considered for the company’s future car models. It is also predicted to play a big role in parent company Mercedes-Benz’s Car2Go car-sharing programme by 2030. “The Smart Vision EQ Fortwo is our vision of future urban mobility; fully autonomous, with maximum communication capabilities and electric,” says Winkler. According to the manufacturing company, the centrepiece of the new concept car is an advanced Level 5 autonomous system, and is integrated with a hefty amount of intelligence in a bid to meet the predictability of demand. “In the future, car-sharing users will not have to look for the next available car – it will find them and collect passengers directly from their chosen location,” says Winkler. Smart considers this as a big move in its growth plans. At the moment, a Smart model is hired every 1.4sec in cities around the world, through a customer base of roughly 2.6 million. The overall appearance of this model is more rounded than usual ones. Additionally, its dominating features are its heavily curved roofline, large wheel houses and ovoid-shaped doors. At 2699mm in length, 1720mm in width and 1535mm in height, the new car is the same length but overall 50mm wider and 25mm lower than the third-generation Fortwo. This concept certainly looks impressive in the images released by Smart, take a look. Plus, have a browse of our luxurious motors available to hire now! 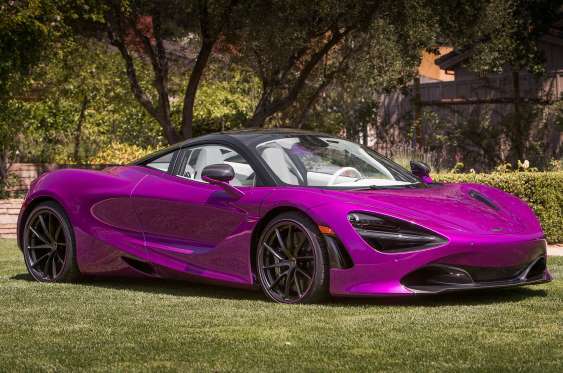 A one-off McLaren 720S has been unveiled, created for renowned car collector Michael Fux, known for building a multimillion-pound business empire around the sale of memory foam mattresses after eloping to the US from Cuba at the age of 15. Famous in the states for his philanthropic exploits, Fux regularly raises money for charity by displaying his cars to the public. His McLaren, is in keeping with Fux’s penchant for eye-catching designs and features a fuchsia-coloured paint finish with a white leather interior. The exterior colour on this model is named Fux Fuchsia and was originally created by Rolls-Royce for him before being redeveloped by MSO for the McLaren. Other details include the fuchsia colouring on the wheels and inside the doors. Otherwise, white dominates from the leather to the stitching. The exhaust and windows surrounds are finished in grey and some areas of the car are highlighted with carbon-fibre finish. Whilst no mechanical changes have been made, it’s powered by a twin turbocharged 4.0 litre V8 like other 720S cars. This sends 710bhp to the rear wheels via a seven-speed dual-clutch gearbox. The car was presented to Fux by McLaren Automotive boss Mike Flewitt at the Pebble Beach Concours d’Elegance. However, no price was revealed, though it is predicted to have been substantially more than the £218,020 which was charged for 720S in its Luxury spec. MSO grew revenue by £143 last year, with an underlying booming demand for high-end buyers to finish their cars with one-off features and designs. “MSO provides McLaren owners with virtually limitless possibilities to tailor a car exactly to their needs and tastes – there are opportunities from unique paint colours and finishes all the way up to complete vehicles designed to individual specification,” said Jolyon Nash, McLaren Automotive’s executive director for global sales and marketing. Check out our luxury cars available to hire! Book now for a day of luxury transport you will never forget. The original prototype Ford GT40 Roadster is now on sale- with the sale price expected to be roughly £5 million. The model is known for being special due to it being the only Roadster that remains in its original specification. It was one of only six to be built. Coloured in white and dark blue, this GT40 is fitted with a 380bhp V8 engine with a four-speed manual gearbox, with both independent suspension and disc brakes. Not only this, but it comes painted in the recognisable Ford racing stripes. The GT/108 chassis was delivered to Ford Advanced Vehicles, which was then the pinnacle of Ford’s engineering department. This was incorporated in October 1964, with the bodywork fitted just the following month. The following March it was tested alongside the GT/105 coupe chassis. This was just before it was shipped to the US for Shelby American with a note of ‘temporary importation for test purposes.’. However, it did stay in the USA permanently. From that month on it was used as a demonstration vehicle with Shelby’s racing teams and Ford dealerships across the country. Following a full update in 2003, it was then entered in Pebble Beach Concourse d’Elegance where it came second in the GT40 class. It was then shown in the 2013 Amelia Island Concourse d’Elegance in the midst o the 50th anniversary celebration of the GT40. The history of the motor was compiled in 2014 by historian Ronnie Spain. It then went on to be sold at the RM Sotheby’s Monterey auction the same year. Numerous features of this motor are unique. These include the 1965-style nose and the low tail section. 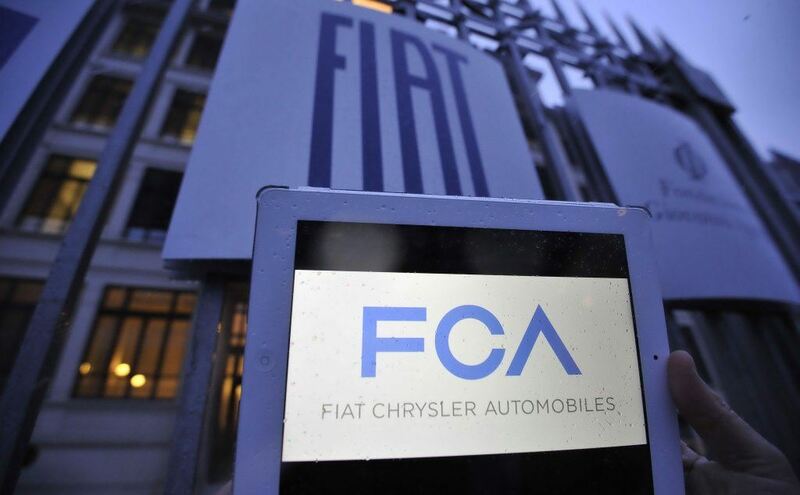 This is due to other Roadsters being significantly altered. Even though a price hasn’t been quoted by Girardo & Co, where the car is set to be on sale, it is expected to bring in an excess of £5 million- a figure which is said to be acceptable due to its heritage. Hire some of our amazingly luxurious and vintage Limo Broker motors. Be sure to get in contact with us today for a no obligation quote. Porsche’s largest SUV has sold in huge numbers since first launching in 2002, and its successor in 2011; the brand new model will be the third-generation Cayenne. Regardless of the stickered headlights, it’s not hard to see that the Mk3 Cayenne’s styling is a gentle evolution of its predecessors. According to reports, the new Porsche Cayenne is built on the VW Group’s MLB platform, with very similar architecture to the Audi Q7 and Bentley Bentayga. It is said to be the shortest car in history and has a greater agility than the Q7 and Bentayga. It is also lighter than the outgoing Cayenne with a lower roofline. There’s a choice of two V6 petrol engines for entry-level models- with the regular Cayenne equipped with 335bhp, and the Cayenne S with 434bhp. The latter is expected to plummet under the five-second mark from 0-62mph. Reports have revealed that there will also be a Porsche Cayenne Turbo with 4.0-litre twin turbocharged V8 with a staggering amount of power. Plus, it is predicted to develop no less than 540bhp. Sticking to routing, diesel engines are set to feature, with both V6 AND V8 options featuring established engines from Audi. 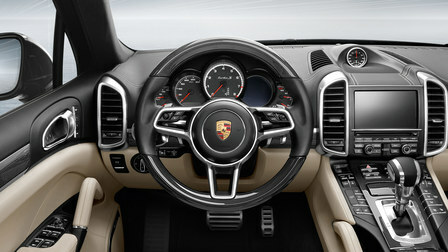 Hybrid versions are set to follow, with the most affordable planned to use the same 2.9 litre V6 engine as the regular Cayenne S. According to the manufacturer, they are also planning a very high performance Hybrid S, which will utilise the Cayenne Turbo’s V8 and a total power output as gigantic as 670bhp. We should also expect a bigger boot from this model, which we are still waiting on pictures for. Check out our luxurious cars available to hire. All of which are available across the UK, so be sure to contact us today.